The cost of living in the UK differs widely depending on where you live. The cost of dying is no different, with great regional variance in the costs of burial and cremation. For this reason it can be difficult to determine the average cost of a funeral in the UK. There are however some general trends in the price of both body disposal and funeral expenses. Despite the long-standing Christian tradition of burial, seven out of ten people in the UK now choose to be cremated. This is usually the cheaper option and costs £755 without any added costs such as a service, flowers or an expensive coffin. There will be additional costs for interment, exclusive right of burial and a headstone if the ashes are going to be buried in a plot. On average an ash plot costs £450 in the UK. Entombing ashes also requires leasing columbarium space, often for a decade at a time. This costs around £700. Including all other necessary expenses, the average cost of a UK funeral with cremation is £3,311. Other services related to cremation can cost considerably more. For instance, it is possible to produce ‘memorial diamonds’ by extracting, purifying and compressing the carbon found in human cremains. The price of memorial diamonds depends on the carat of the stone but can cost up to £12,505 in the UK. It is also possible to launch your loved one’s cremated remains into outer space. The cost of doing so is over £10,500 – less than a plot in many London cemeteries. This, while unconventional, is a excellent tribute to the truly adventurous. Due to the expenses of interment, exclusive right of burial and a headstone, burial costs are almost always higher than those associated with cremation. The average cost of a simple burial in the UK is £1,847. In recent years the cost of a burial in the UK has risen dramatically as a result of limited space. The highest funeral costs are in cities where – in death, as in life – space is at a premium, but even in rural areas inflation has caused steep increases in the price of graves. Including all other necessary expenses, the average cost of a UK funeral with burial is £4,257. What is the average cost of a funeral in London? Unsurprisingly, England’s capital is the most expensive place in the UK to die, with a basic funeral costing around £5,529. This is 41.9% higher than the national average. 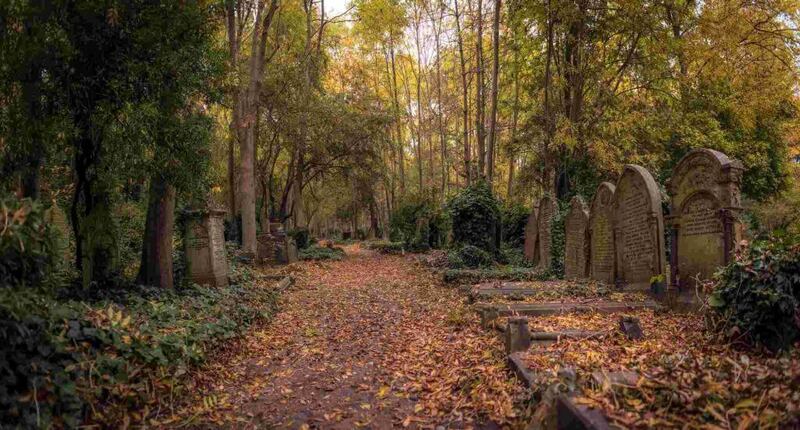 The most expensive place to be buried in the UK is Highgate Cemetery, which costs a total of £18,325 including interment fees but not including a coffin, headstone or any other funeral expenses. Those laid to rest in Highgate will enjoy the company of Karl Marx, George Eliot, Douglas Adams, Lucian Freud, George Michael and Elizabeth Siddal among many others. An estimated 170,000 people are buried in Highgate Cemetery, much of which is only open to tour guides.